Tesla Motors has announced European pricing for the Model S.
In the Netherlands, where Tesla recently announced it's European Distribution Center in Tilburg, a 60 kWh Model S kicks off at €72,600 ($96,000). 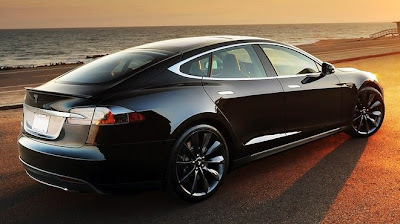 85 kWh models start at €83,150 ($110,000), and the Model S Performance starts at €97,550 ($129,000). Signature models, arriving in the Spring, cost €101,400 ($134,000), and Signature Performance cars will be €110,950 ($147,000). All prices are before local incentives, and inclusive of purchase tax. That purchase tax, plus a slight price increase to account for transport costs, import duties and other costs relevant to individual European countries (plus exchange rates) explains the large price difference between European and U.S. pricing. U.S. pricing starts at $67,400 for the 60 kWh model. Tesla also confirmed that the 40 kWh model won't be available in Europe, at least initially--Tesla may choose to sell it in Europe at a later date. Tesla will also offer deductions of €1,700 ($2,250) to buyers who already hold a Model S reservation in Europe, or plan to do so by the end of December. Buyers will need to finalize their order within four weeks of receiving their "Invitation to Configure" from Tesla. Model S Signature models will start arriving by late Spring, and non-Signature car deliveries will start in Summer 2013.